EkoStory - Ekoenergetyka-Polska Sp. z o.o. Driven by innovation and powered by desire to reduce transport emissions, we develop and produce high power charging solutions for electric passenger cars, buses and HD vehicles. Established in 2009 Poland with a sole purpose of providing charging solutions, we are one of the pioneers in the e-mobility industry. In 8 years since our creation we grew from 2 to 50 people, acquired customers all over Europe and are now a Central and Eastern European leader in charging technologies. Bartosz co-founded Ekoenergetyka and is its CEO. Under his watchful eyes the company has grown from 2 people to over 50 and became a leader of electric bus charging infrastructure in Europe. With He has a background in electrotechnic engineering and experience in setting up and managing businesses in different sectors. Maciej co-founded Ekoenergetyka and is its Vice-President. He is responsible for business development in the company and is a primary architect of its success on international markets. Like Bartosz, he holds a degree in Electrotechnic Engineering. Urszula has been with Ekoenergetyka from its very beginning and is one of our Vice-President. Experienced manager, she takes care of Ekoenergetyka’s HR, Accounting and back-office operations. She is a graduate of Production Management and holds a master in Employment Law. 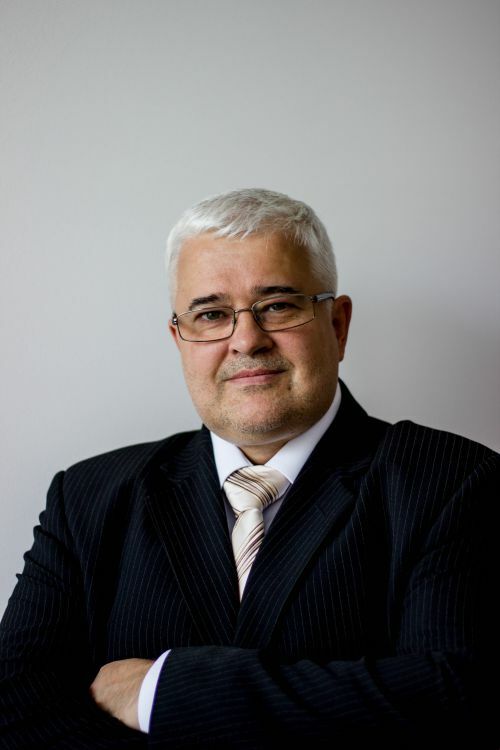 Artur is an electronics specialist with +20 years of experience in technology research and innovation. He is responsible for Ekoenergetyka’s new product development. To every project we work on we bring our best technical, designing and creative minds offering you the latest charging innovations and bespoke solutions for your specific application.